In modern day scenario, radio, telephone, television, mobile phones are as important as food. Development in communication system enables us to access any part of the world within no time. Not only within the globe has satellite communication helped us in weather forecast etc. All these are not quite possible without the help of electronics and telecommunication engineers. Electronics has developed in such a way that in every aspect it has a contribution. Almost all the medical instruments are electronics based. Under this discipline one has to fabricate electronic circuits, testing and maintenance of electronic systems etc. 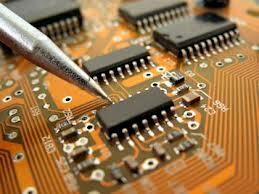 The day is not far away when electronics sector will conquer the globe with rapid development. It is a good choice for students to go for electronics and telecommunication engineering and secure job assurance. Not only are these there options for those working personals to join distance learning programme in this discipline. NIMT - Neptune Institute of Mnagement and Technology offer BE Electronics and Telecommunication Engineering through Distance Education mode.